Natural Health News — Rosemary – as Shakespeare said – that’s for remembrance. One of our most popular culinary herbs has a long history of use both in religious ceremonies and herbal medicine. 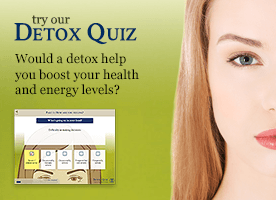 The ancient Greeks revered it for stimulating the brain and assisting memory. Now a clinical study has found that eating small amounts of the herb increase memory within just a few hours. To examine rosemary’s potential for the treatment of age related memory decline, this small study involving a group of 28 older age adults (average age 75 years) used powdered rosemary added to tomato juice in varying doses. This was compared to tomato juice on it’s own. Each of the participants tried each of the tomato juice concoctions in turn with a weeks break in between doses. On drinking the juice their brain function and memory were monitored using special tests nearly every hour for up to 6 hours after the dose. The lowest dose (750 mg) of rosemary had a statistically significant beneficial effect compared with placebo, said the investigators. What they did not expect was that the the highest dose (6,000 mg) seemed to impair memory. “The positive effect of the dose nearest normal culinary consumption points to the value of further work on effects of low doses over the longer term” concluded the study investigators. A 2009 analysis of 13 randomised controlled trials into herbal interventions for dementia concluded that herbal medicines were more effective than placebo and at least equivalent to conventional therapies on common cognitive performance outcome measures. That’s not surprising since herbs contain unique bioactive compounds. 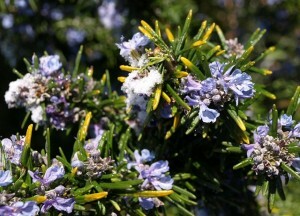 One of the active ingredients in rosemary, for example, is known as carnosic acid (CA). Studies show it can protect the brain from stroke and neurodegeneration that is due to injurious chemical free radicals. Other evidence suggests that inhaling the essential oil can boost mood, concentration and memory. What the latest study suggests is that when it comes to herbs, more isn’t always better, and that regularly using rosemary, in the amounts we normally use in cooking could be good for brain performance. In addition, herbs and spices are an important part of dietary diversity and are also packed full of antioxidants and other useful phytonutrients.